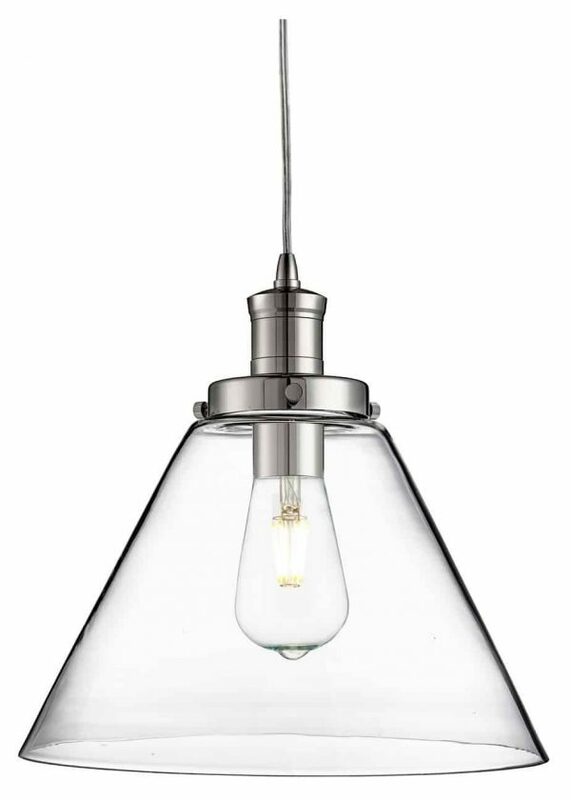 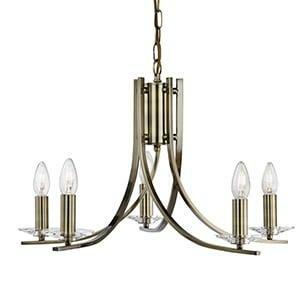 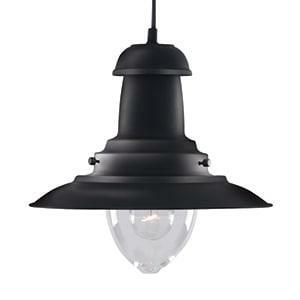 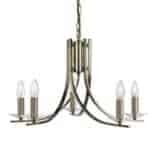 This Pyramid Chrome Pendant Light with Domed Clear Glass Shade is classic design at its best. Instead of hiding all the components away, the pyramid pendant light makes a feature of them, giving this exposed fitting an urban industrial vibe, perfect for today’s contemporary kitchens or dining rooms. 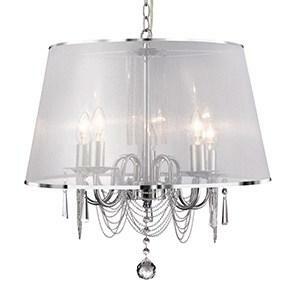 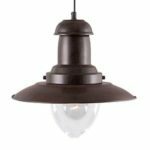 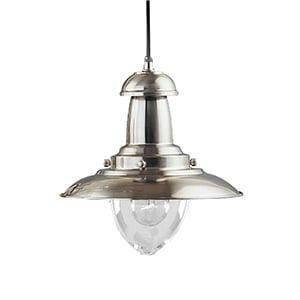 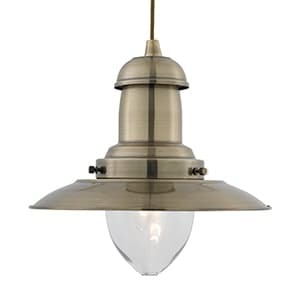 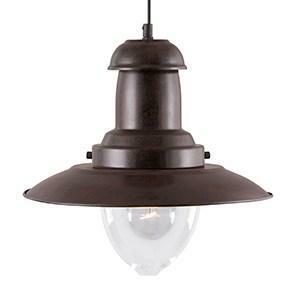 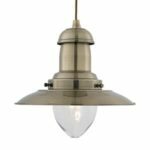 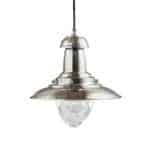 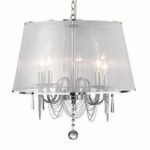 The clear glass shade has a modern chrome finish top leading up to a cable suspension, which is fully adjustable for different ceiling heights.